Rui Maranhão (publishes as Rui Abreu) graduated in Systems and Computer Engineering from University of Minho, Portugal, carrying out his graduation thesis project at Siemens S.A., Portugal. 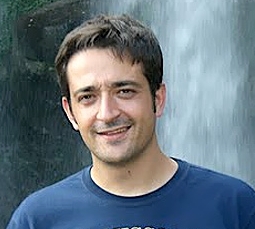 Between September 2002 and February 2003, Rui followed courses of the Software Technology Master Course at University of Utrecht, the Netherlands, as an Erasmus Exchage Student. He was an intern researcher at Philips Research Labs, the Netherlands, between October 2004 and June 2005. He received his Ph.D. degree from the Delft University of Technology, the Netherlands, in November 2009, and he is currently an assistant professor at the Faculty of Engineering of University of Porto, Portugal. He is also with the School of Computer Science of Carnegie Mellon University (CMU), USA, as a Visiting Faculty Member.